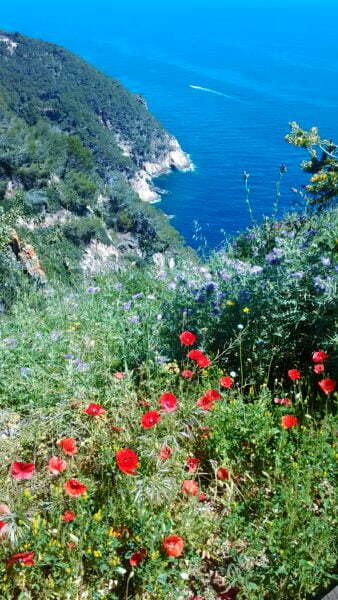 Spring has truly sprung in Catalonia. The skies are blue, the wildflowers are all shades of reds, yellows and purples, and all of these colours are offset by the amazing green of the pine trees. Who wouldn’t want to hop on a bike and go for a pedal? The large groups of team road riders from Girona in their matching kits and on matching bikes. The groups of friends having a spin on the weekends. The mountain bikers heading off to bash out some of the amazing single track. The families and other recreational cyclists on the dedicated cycle paths. And if this wasn’t enough Catalonia has the delicious mix of countryside, beaches and history that make it a truly remarkable place to visit. 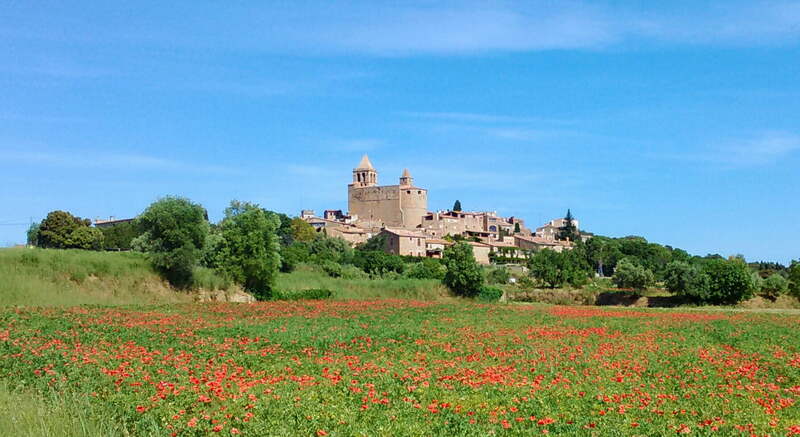 You can be cycling past fields of dancing red poppies to reach a medieval village that appears not to have changed for almost a thousand years. The main difference today being that, instead of knights arriving on their trusty steeds, for ale and bread, cyclist and walkers arrive to eat delicious food made from the freshest ingredients. 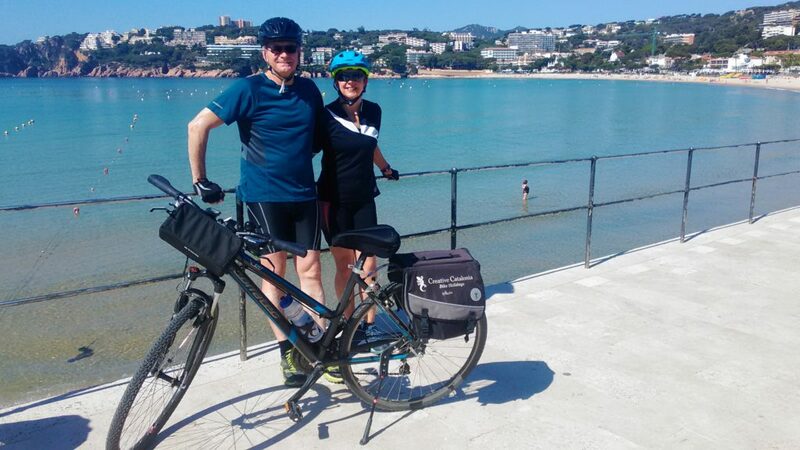 And then, in stark contrast, the wild coast of the Costa Brava offers craggy headlands and hidden coves, where you will come across white washed fishing villages with old connections to Cuba. Sitting in one of the waterfront restaurants, or even a restaurant right on the beach, you can tuck into a hearty paella, topped by juicy Palamos “gambas”. 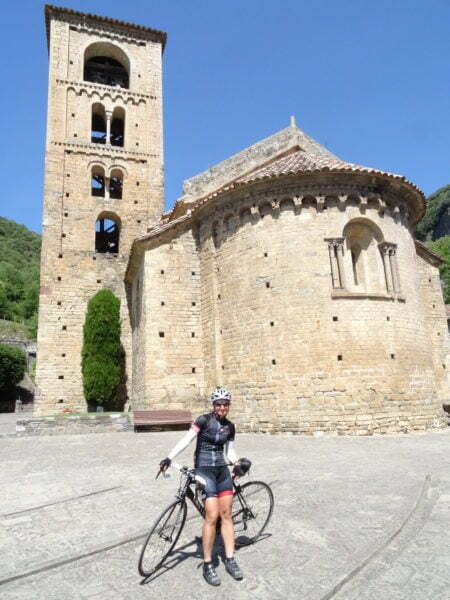 The amazing contrasts of Catalonia are easily reachable by cycling at a leisurely pace through the quiet country lanes along a well-marked cycle network.